Week 5 was always going to tie up some loose ends as far as establishing contenders went, but we also found our first semi-final pretender. It was one of the most entertaining days at the Elite Series so far, but certain fanbases walked away disappointed – and not just the ones who missed out finals. It may have been the bottom two sides taking the stage in the first match of the day, but the Brisbane Deceptors and Sydney Roar put on a thrilling display fitting of a grand final. The Deceptors were already eliminated, but the Roar still had finals on the cards if they were able to get up. Brisbane had already played spoiler before, with a famous upset over Perth in the final week of last season seeing Ground Zero knocked out prematurely. 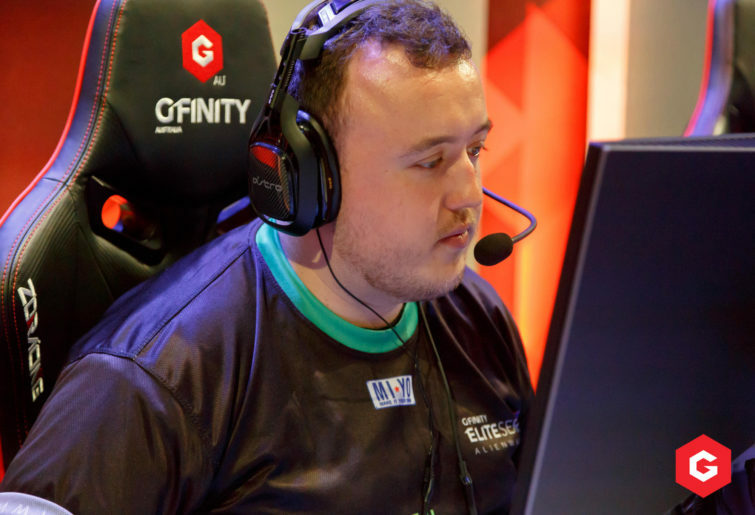 The Deceptors got the first two rounds under their belts as the CTs on Inferno – and that two-round lead proved to be one of the biggest of the match. The de facto home side – backed by unprecedented support – got themselves out to an 8-7 lead, but the two sides continued to trade rounds throughout an enthralling second half. The Roar got out to a match-high 13-10 lead one point, only for Brisbane to claw ahead 15-13. The Deceptors couldn’t quite close it out then and, despite having match point once more in overtime, an inexplicably poor decision by YetiBacon to run through smoke into enemy territory cost them the point and, subsequently, the match. The Roar were able to clean up in the second overtime period and claim a memorable 22-18 victory. For Brisbane, unfortunately, it yet another case of the team letting themselves down at the worst possible moments. It’s not a stretch or a sugarcoat to say this team should be 4-1 – but they only have themselves to blame for a winless season. If Deceptors return for the third season of the Elite Series, they’ll enter as one of the most heavily-favoured winless teams ever. They have the skill, but they desperately need to iron out the creases over the long offseason. That epic back-and-forth meant the top-of-the-table clash between Perth Ground Zero and Melbourne Avant suddenly had a lot to live up to. Perth had emerged as warm CS:GO favourites over the first four weeks, with their top line-up winning all three of the matches they’d been on stage for by a frightening combined score of 48-10. Avant, on the other hand, had sat at the top of the standings for much of the season, but were yet to really blow anybody away. The doubters got given a lot of ammunition after a subpar Avant display, however, with the Melburnians brushed aside by Perth 16-7. The first four rounds went Ground Zero’s way in the blink of an eye, with the extremely aggressive play that saw them obliterate Melbourne Order 16-0 two weeks ago back on show. Avant cobbled together a respectable six rounds in the first half, but it all fell apart in the second stanza as Ground Zero claimed the breezy win. After thoroughly unconvincing wins against Brisbane and Roar, this loss really has to put a line through Avant’s championship chances. The winless Deceptors actually fared slightly better against Perth just one week ago. They looked rattled by Perth’s aggressive play, with their strategy often dissolving quite quickly and mid-round pivots taking far too long to come about. Ground Zero now face something of a selection quandry coming into the playoffs. Coming into the season, ex-Roar star destinY was unquestionably in the side’s top five, but the team has arguably played better with draftee SkullHunter in the lineup. They’ve lost ten maps in destinY’s two matches and only seven in Skullhunter’s. Whether or not they chose form or experience next week could be crucial. The grand final rematch between traditional rivals Sydney Chiefs and Melbourne Order was easily the most fitting way to close off the second season – even if neither side had been firing on all cylinders. Thanks to the Roar’s win earlier in the day, the Chiefs needed a win over the reigning champions to keep their spot in the top four. It was very much a tale of two halves in the last match of the day. The Chiefs were able to get the job done, however, surviving an almighty scare from Order’s reserve lineup to win 16-14 and book their top four spot. It looked very much like they’d be on their merry way to next week in the early going. The Chiefs read Order like an open book, picking up eight rounds in a row during the first half to head to break up 11-4. Order looked bereft of any match awareness or game sense but, out of nowhere, flicked a switch in the second half and haded the Chiefs an eight-round losing streak of their own. That 12-11 lead was as good as it got, however, with the Chiefs able to claim five of the next seven to eke out the tightest of wins. Despite the Chiefs taking out the victory, you could argue that – given Order were using their backup side – the losers would actually be happier with the result. The semi-finals are now set for 2018 Season 2, with Perth set to take on the Chiefs and Order set for a mouthwatering derby with Avant. Who do you have going all the way?